Palladium, Making of North America, Bowling, Canada Day. Just watched a programme on PBS about the formation of North America. They were explaining what a geological history record was formed by the Grand Canyon. However, they explained something I had heard before, but never checked out, some of the oldest rock in the world is found in Ontario - part of what we call the Canadian Shield. What I didn't know though, there is a large Palladium mine in Ontario. The Lac des Iles Palladium Mine. Apparently palladium is worth a heck of a lot more than gold although not as much as white gold or platinum. In case you don't know, and I must admit I didn't know much about it, I have just copied this from Wiki: Palladium is used to make springs for watches, surgical instruments, electrical contacts and dental fillings and crowns. Finely divided palladium acts as a catalyst and is used in hydrogenation and dehydrogenation processes. They also mentioned something about cars but I don't remember what it was. The programme about the formation of North America was quite fascinating and covered geological history from the beginning of earth. Apparently once there were mountains where New York City is. There are two more episodes so we must remember to watch them. It was on Nova if you are interested. team, were bowling pretty well. My scores weren't brilliant, but they were acceptable, and much to our delight we took all 7 points against the other team which turned out to be the number 2 team. Didn't realise that. This means we have crept up another notch and are now in 8th place. (Out of 10). Not brilliant but not on the bottom. At this time of year, we have Canada Day on July 1 and Independence Day on July 4. We are inundated with red white and blue recipes but this year there are some red and white recipes to choose from for Canada day. This is one which appealed to me. top of this creamy no-bake cheesecake. The addition of a red graham cracker base makes it even more patriotic. The best part of this luscious dessert is that it is make ahead leaving you more time for celebrating! 1. In a small bowl, whisk together butter and food colouring. In a medium bowl, combine graham cracker crumbs and butter mixture. Mix until butter mixture is evenly distributed. Pour into prepared pan and press evenly; set aside. 1. In a small bowl, sprinkle gelatin over water. Microwave on medium heat until dissolved, 20 seconds. 2. Meanwhile, in a medium bowl and using an electric mixer, whip cream; set aside. 3. In a separate bowl and using an electric mixer, beat cream cheese until light. Add sugar, sour cream and vanilla and beat until combined. Stir into cream cheese mixture. Fold in whipped cream. Pour over crust, smoothing top. 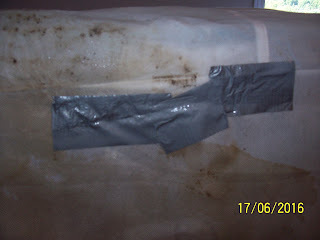 Cover with plastic wrap and refrigerate until set, at least 3 hours or up to overnight. 4. Using foil overhang as handles, remove cheesecake from pan and transfer from foil to serving plate. 5. Cut cheesecake into 12 pieces. 1. Place 1¾-inch maple leaf cookie cutter in centre of each cheesecake piece. Spoon rounded ¼ tsp coarse red sugar into centre of cutter. Using tip of knife, gently spread sugar to fill cutter. Remove cutter being careful not to disturb sugar. I have decided I could sell my landlords some shore property in Colorado. 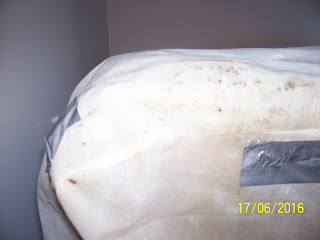 I have tried to save them money, it costs them something like $800 to have the whole apartment sprayed for bed bugs and all I want is a new $50 cover for Matt's box spring. The exterminators have convinced her the Diatomaceous Earth is ineffective. We think it has done a wonderful job. 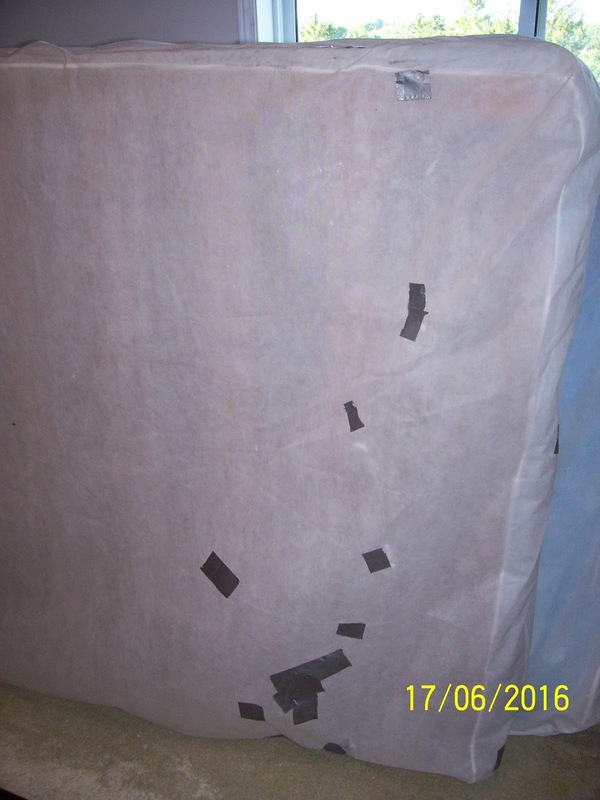 The only reason, as I keep explaining, we are having a problem is because the box spring cover is torn although I have mended it to death with duct tape and it may be doing the job by now anyway. Any bugs which might be getting out, don't leave the area because of the Earth which is sprinkled round the bed and which is death to them if they cross it. There are NO bugs ANYWHERE else. However, nobody listens and because I am not a professional, I cannot possibly be right. My main problem now, we have to vacuum it up before the pest people come in again. Doing that round Matt's bed may well let the little perishers out. Not only that I have to hire a shop vac because our vacuum has a Hepa filter and won't do the job properly. As I have mentioned, I am hiring a company to come do some vacuuming right through plus several other jobs which have to be done before the exterminators come. However, if I find our pensions from the UK have dropped badly because of the pound, that will be cancelled. We are due to get a payment in the first week of July so we will know then. actually bought 6 lbs. Should last a bit. I have about 3 lbs. frozen and two jars of pickled so it will keep me happy for a while. Obviously the frozen isn't a patch on the fresh, but it's better than none at all and even better than the asparagus which is for sale all year round in our supermarket. Not sure where that comes from (probably Mexico) but as one has to break off the ends, you know it's not very fresh. Do they get Mexican produce in the States? Maybe the wall will stop such heinous practices!!! Or is that OK? This recipe looked so colourful I thought I would share it. 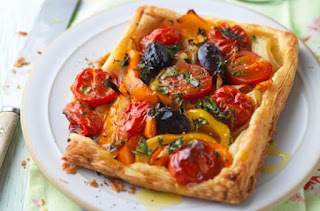 I have a similar recipe which I have made with just Heirloom tomatoes and that is very good. I think this will be even better. Got leftover chicken? Put strips on top of the galettes for a meaty alternative. Set the oven to 190°C/380°F/Gas Mark 5. Mix the pepper strips and onion wedges on a baking sheet with thyme sprigs and 2tbsp oil. Roast for 30 mins, stirring occasionally, until they’re softened. Meanwhile, roll out the pastry to a square, about 28cm. Cut into 4 x 14cm squares. Put them on the baking sheet. Mark a thin border around each one. Prick inside with a fork. Chill for about 30 mins. Raise the oven temperature to 220°C/430°F/Gas Mark 7. Spoon the pepper mixture inside the pastry border. Sprinkle with parsley and add the olives and halved tomatoes. Drizzle with the rest of the oil. Bake for 25 mins, below the centre of the oven. Season and drizzle with more oil, if you like. 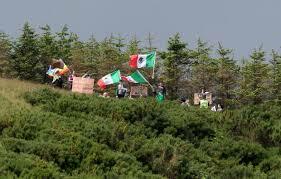 Something I meant to mention on Monday was Donald Trump's visit to Scotland and the fact that the locals planted Mexican flags all round the Turnberry golf course. His golf course that is. I thought it was pretty funny. Also he was saying how he supported Brexit and yet the Scots voted to remain in the EU. Maybe someone forgot to tell him. 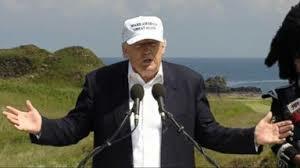 I DO NOT think a cap suits him!!! I saw this on Facebook today (Monday) and couldn't resist sharing it, particularly as some of you are not on Facebook. Actually, if you think about it, this isn't funny at all. Funny really, I am not a politically minded person and yet I have written more about political situations recently than ever in my life. I love arctic char - particularly when it is smoked like smoked salmon, absolutely delicious. A restaurant which used to exist in the next town was run by an Italian who smoked his own fish and arctic char was one he smoked which was where I tried it. I still love smoked salmon but do so wish I could get some smoked arctic char again. that will help keep your fish from sticking. You'll also want a large grill spatula for flipping (not tongs) to get under the fish and help you carefully flip the fillets and keep them intact. Heat grill to medium-high heat if you are using gas; if you have a charcoal grill, you want a nice hot bed of coals. Coat fish well with olive oil and season with salt. Set fish on the grill skin side down and cook, covered, until the flesh of the fish begins to turn opaque and the skin is crisp, 3 to 5 minutes. Use a grill spatula to carefully flip the fish and finish cooking to medium, about 2 minutes more. 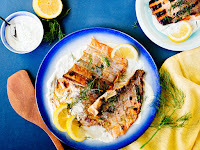 Spread horseradish crema on a serving platter or individual plates and place cooked fish on top with the skin side up. Garnish with dill and lemon wedges. Serve extra crema on the side. Interesting, on the news this weekend, it appears the British are waking up to what they've done and there have been so many calls for a re-vote that it crashed the government website. Even I voted for a redo. Unfortunately a lot of people who voted didn't really understand what they were voting for - unsurprisingly, it is pretty complicated. Many of the English tend to be xenophobic and really don't like anything unless it is English. Not that they have ever tried it, but it isn't English so it can't be any good. Of course I am English, but luckily that mentality is not one I inherited. Obviously from the votes, neither did 48.1% of the voters. On Good Morning America they said a second referendum is entirely unlikely. Pity. I also understand the government could veto the voting result too. I don't suppose they will. There are so many ramifications to the whole thing, it may not get sorted out for quite a long while. In this area we have had pretty high temps over the weekend with it hitting the 30°C and our air conditioner running full blast. We haven't had a lot of rain lately either so I think we will soon be talking drought. There was quite a storm on Sunday night, but I think it was just lightning with a bit of thunder, no rain. I have avoided going outside. 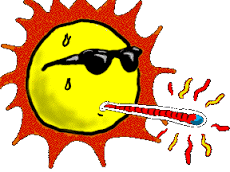 I am getting like so many others and hiding from the heat. I checked out a scone recipe that I used to make many years ago in England and find the only thing I don't have is baking powder. I really should try making them again instead of buying them. Maybe I should also try making Cornish Pasties too. Although the asparagus season is not quite over for me, it soon will be, so I chose a Chinese dumpling recipe instead. Plenty of ginger and scallions add terrific flavor to these juicy shumai dumplings from Andrew Zimmern. 1. 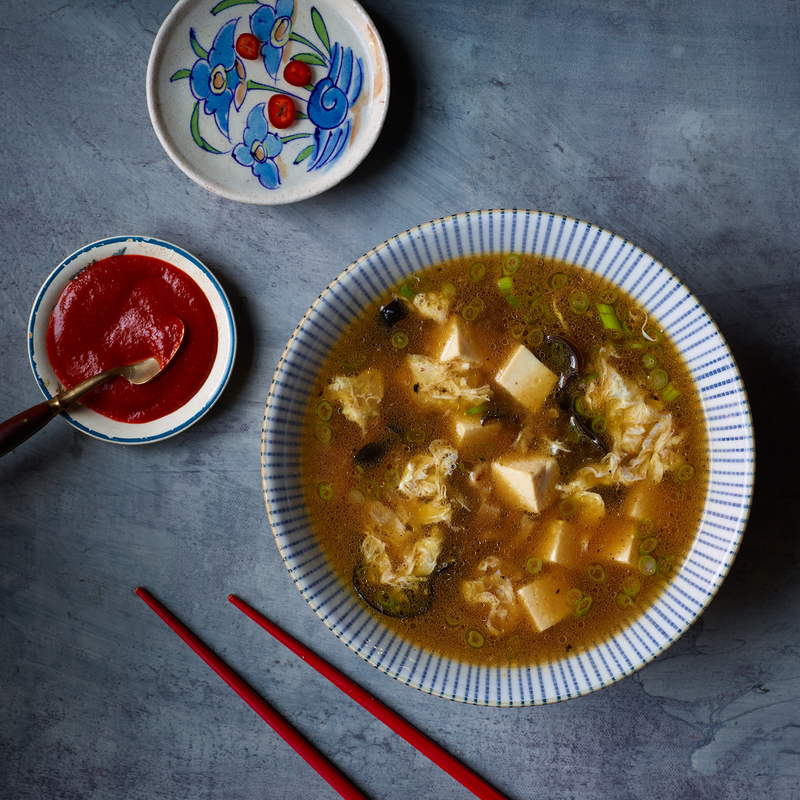 Make the dipping sauce In a small bowl, whisk the soy sauce with the black vinegar and chili-garlic sauce. 2. Make the shumai In a medium bowl, combine the pork and shrimp with the scallions, ginger, soy sauce, sesame oil, Shaoxing wine and salt. 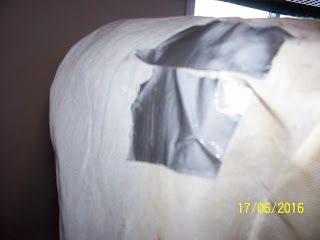 Cover with plastic wrap and refrigerate for 4 hours. 3. Lightly dust a baking sheet with flour. Hold a dumpling wrapper in your palm, keeping the rest of the wrappers covered with plastic. Place 1 tablespoon of the filling in the center of the wrapper and gather up the edges all around to form an open cup; the wrapper will adhere to the filling. Transfer the dumpling to the prepared baking sheet and cover with plastic wrap. 4. Repeat to form the remaining dumplings. 5. Fill a wok or large skillet with 3/4 inch of water and bring to a simmer. Line 2 tiers of a bamboo steamer with cabbage leaves, overlapping them slightly. Add the dumplings to the steamer and stack the tiers. Cover and set the steamer in the wok. 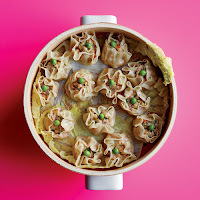 Steam the shumai until firm and the filling is no longer pink, 8 to 10 minutes. Garnish each with a pea and serve hot with the dipping sauce. No asparagus recipe today. 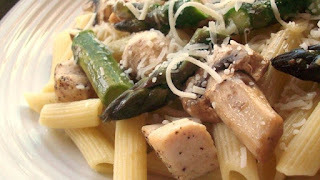 However, Alex J. Cavenaugh sent me a link to Katherine's Corner where she has posted quite a number of asparagus recipes. 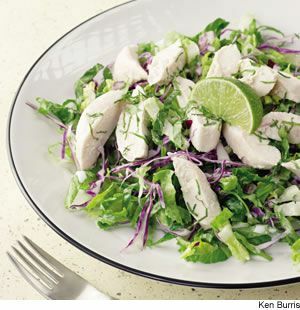 Double the flavor, halve the work—simply by using the same tangy combination of coconut milk, lime juice and brown sugar for both poaching the chicken and dressing the salad. Crisp romaine lettuce, cabbage and snow peas add freshness and an irresistible crunch. Tips for Two: Refrigerate leftover coconut milk for up to 4 days or freeze for up to 2 months. Use to make extra Coconut-Lime Dressing; drizzle on sliced fresh fruit; use as some of the liquid for cooking rice; make a Pineapple-Coconut Frappe. Ouch, I have just paid our car and home insurance. Gosh that hurts every year. I could pay monthly but we prefer to get it over and done with, I put money aside for it mind you rather than have to suddenly turn round and find a large sum of money. One insurance company we had, split it into 3 payments a year which was better. I don't know if they still do it, but in England we used to have a declining insurance so long as we didn't claim. People used to do all they could to avoid losing that benefit. 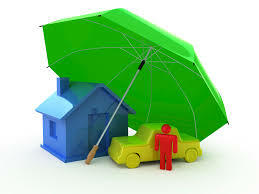 Of course, we only have to insure the contents of our home as we live in a rented apartment. not, would be in before I went to bed. I saw one comment that it is considered people don't really understand what they are voting for. 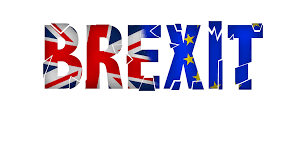 If the final vote is for exit, it will make me pretty glad not to live there any more although an exit vote will apparently have repercussions on this part of the world too. These days a country trying to stand alone is nonsensical, especially such a small country. OK we were once great, but that is a looong time ago. I just read that Sunderland, where Matt was born, have voted to leave the EU. Damn fools. It seems that at the moment the vote is swinging that way, the majority want to leave. 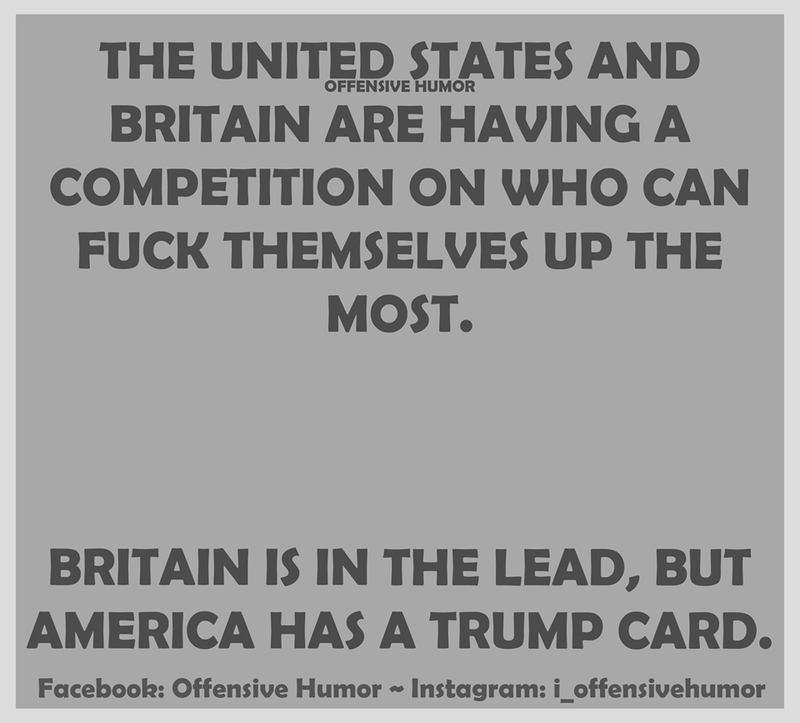 I gather it is going to be a close result. I hadn't realised this was why the politician Jo Cox was shot. 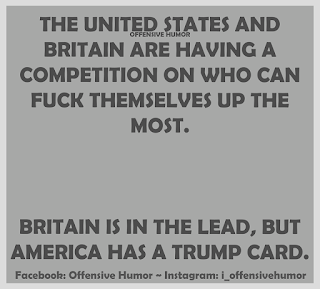 I cannot believe that something like that would happen in the UK. Place must have changed considerably since I lived there. I have been cooking a lot of skirt steak recently, it is delicious if properly prepared and cut across the grain. Of course I would probably serve asparagus with it whilst it is still in season. Not long to go now unfortunately. 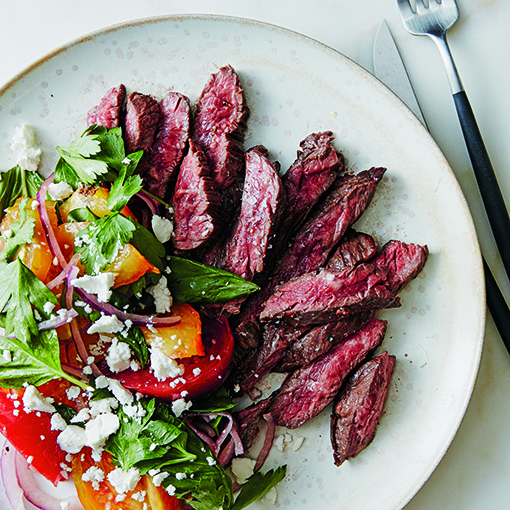 Skirt steak is an ideal cut for quickly soaking up flavor (and then cooking in even less time), plus it will hold up all week long. Marinated onions and tomatoes soften as they sit and make for especially great leftovers in sandwiches, on their own as a salad, or, in this case, tucked into a gyro. Roughly chop the rosemary, oregano, and thyme leaves. Roughly chop the garlic. Zest 1 lemon and halve both. lemon zest, juice of 1 lemon, and the crushed red pepper. While whisking, slowly add 2 tablespoons of the olive oil. Add to a large resealable plastic bag along with the steak, shake to coat, and set aside to marinate for at least 30 minutes at room temperature or overnight in the fridge. While the steak marinates, cut the tomatoes into ½-inch wedges (or halve them, if using grape). Halve the onion and slice it as thinly as possible. Pick the parsley and basil leaves from the stems. 2 tablespoons olive oil to make the dressing. Taste and add salt and pepper as needed. Set aside. Heat a grill to medium-high or a grill pan over medium-high heat. Remove the steak from the marinade, allowing the excess to drip off. Season generously on both sides with salt and pepper. When the grill or pan is hot, add the steak and cook until browned on the outside and medium-rare, about 3 minutes per side. Remove and set aside to rest for 5 to 10 minutes before thinly slicing against the grain. to the bowl with the dressing and toss to coat. 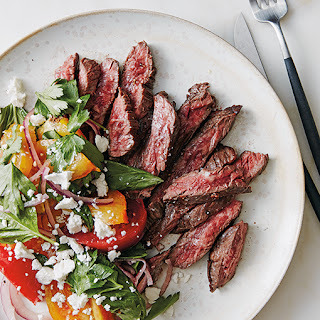 Before serving, set aside half the steak and half the tomato salad and save for leftovers. Store separately in the refrigerator for 1 to 2 days. Funny, Stacey at Veggie Mama was talking about crumpets on Tuesday and I mentioned that my father used to own a crumpet factory. I then started remembering. I was at boarding school at the time and on school holidays would hang around the factory and maybe help out. I remember when he first started he employed an old Scotsman (well he was old to me) who knew all about the way of doing it. There were lots of hot plates and we used to have rings for the crumpets. We would grease the rings by wearing an old greased sock on our arms and running the rings up and down it. Then placing the rings on the hot plates and pouring in the crumpet batter. When the crumpets were done, we would punch them out and pushing the rings on our arm sock once again. If we touched something hot and dropped it, the Scotsman would enquire "too heavy?". To this day if I accidentally burn myself and drop an item, I say it's because it was too heavy. 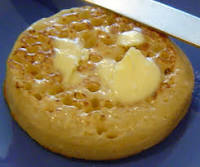 A good crumpet should be supple enough that you can fold it in four and it will spring back to shape. Mostly we ate them toasted with lashings of butter, but they were also delicious fried in bacon fat. Really good diet food which is why, I guess, I haven't eaten a crumpet in many a year. 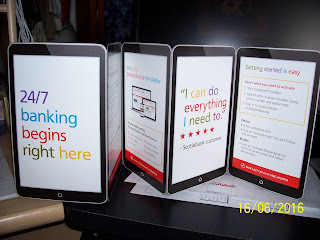 Apart from which, the ones available to me would certainly not stand the folding test. Stacey gave a recipe for crumpets if you want to try making your own. Just make sure they aren't too heavy! Had to go to the grocery store this afternoon and had a good look round, not a crumpet in sight. Nobody in the bakery so couldn't ask. I arranged to have a specialist cleaning group come in and help pack up and vacuum everything before the pest control people come to do their job. Gonna cost me of course, but we just cannot do as thorough a job as is required, especially as this is their fourth visit. In my opinion, not being an expert, all that is really required is to put a new protective cover over Matt's box spring. Nobody takes any notice of me though. Before this cleaning group come, I hope to have all the clothes dried or washed and dried - whatever is required - and then packed in plastic bags removed from the affected areas. So they can help do lots of other things which take more effort. My back has been causing me a lot of problems lately, and things like vacuuming and dusting are virtually impossible. I hope this works because we cannot keep shelling out money like this. Wonder of wonders, today being Wednesday, it was league bowling and I actually bowled well. I had one particularly good game. We were actually paired against the top team - we being the bottom team - and gained a couple of points. One of the women on the other team, was bowling strike after strike or spare. I think in the first game she only missed out twice, ended up with a 247 score. I should be so lucky. Very intimidating although maybe it spurred us on. Whatever the reason, our second game was one of our best for a while. One of the guys we bowl with is a cook and was telling me about a family argument he had had about snapping off the ends of the asparagus. I explained to him that it was unnecessary with farm fresh product although I agreed that with store bought it was something you had to do. Apparently his relative argued that you didn't have to do it. Our friend told him, if you like chewing wood, you are welcome to do so. To me, woody ends just proves how old the asparagus is since I found Barrie's Asparagus Farm and discovered just what asparagus should be like. 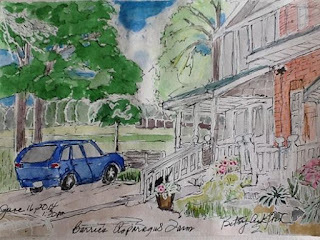 This is a painting of the farm which was done by one of the customers. 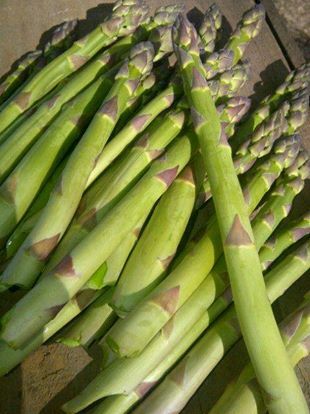 The farm itself is actually called Cedardale Farm, Barrie's Asparagus is their trading name. Just by the front steps there is a stone which has a notice "Please Turn me Over" the other day, for the first time, someone had done so and it said "Thanks, that's so much better". I wonder who thought that one up. 1. Bring a large pot of lightly salted water to boil. Add pasta, and cook until al dente, about 8 to 10 minutes. Drain, and set aside. 2. Warm 3 tablespoons olive oil in a large skillet over medium-high heat. Stir in chicken, and season with salt, pepper, and garlic powder. Cook until chicken is cooked through and browned, about 5 minutes. Remove chicken to paper towels. 3. Pour chicken broth into the skillet. Then stir in asparagus, garlic, and a pinch more garlic powder, salt, and pepper. Cover, and steam until the asparagus is just tender, about 5 to 10 minutes. Return chicken to the skillet, and warm through. 4. Stir chicken mixture into pasta, and mix well. Let sit about 5 minutes. Drizzle with 2 tablespoons olive oil, stir again, then sprinkle with Parmesan cheese. Are we sure it isn't still Mercury Retrograde? In case you don't know (It's because Mercury rules communication, clear thinking, truth and travel, so when the planet goes retrograde — which means that it looks like it's going backwards in the sky — all those things go backwards. They start to get ugly and tangle up.) As you have all heard, we have bugs, then I was having problems with dropped internet so they changed the cable. I now have problems with the carpet/threshold between kitchen and dining room and have to keep getting on to my ISP about it. Then, this morning, Tuesday, I go to do my ablutions (lovely word) and there is no water pressure. Turns out that, in fact, the water is off for an hour or two. I managed to clean my teeth. Matt took a shower a bit earlier and seemed to scald himself. We had a lunch appointment so I had to become one of the great unwashed. we headed to the restaurant but figured we would be there very early. In the end, went straight to the Rising Dough Bakery for my Cornish Pasties and scones. I thought they might not have them ready for me, but they did. Got back to the restaurant a little early but our friends were there, nevertheless. The Mandarin had some very good salmon on special today. The sauce was delicious. Of course I had a bowl of Hot and Sour Soup. How could I not? Gotta learn to make that properly myself, I do love it so much. Bumped into a man who used to do a lot of plumbing round here, John from Scotland. I can't remember his last name. I didn't recognise him at first until he mentioned plumbing. Well he has no hair at all these days!! My excuse. It was nice chatting to him and he told me things about the realty company who owns this building which I didn't know. Also nice to see our friends, haven't done so in a while because they have been away. We then hussled over to Barrie's Asparagus Farm and got some asparagus, of course, some rhubarb and some strawberries. Back home and put all my bedding in the dryers. I got bitten, only once, but figured it would keep me awake tonight. I also made enquiries about renting a shop vac. 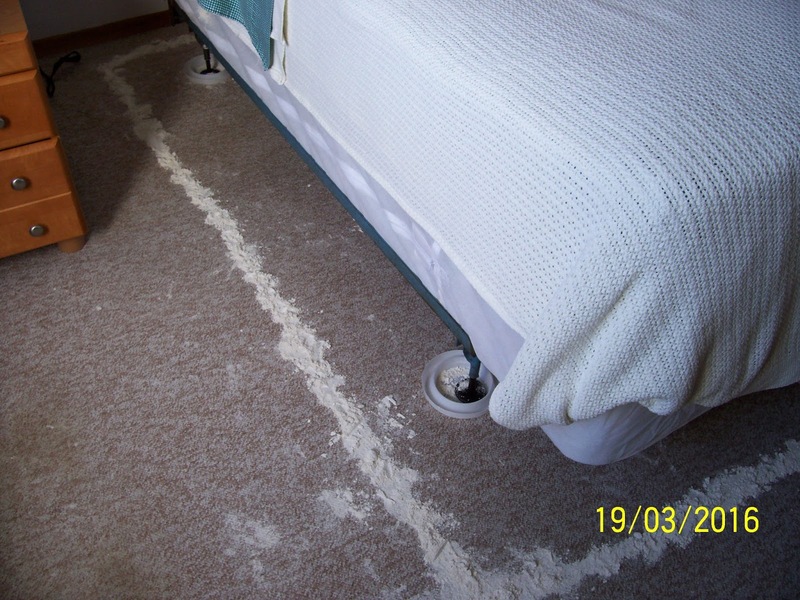 It turns out that my vacuum will not deal with the Diatomaceous Earth which I laid down for the bed bugs to enjoy!!! It has a Hepa filter. So I phoned a rental place and I can get one more or less on any day I want it for $25 for 4 hours. More than we will need. The pest control people request that we get rid of any DE before they come. 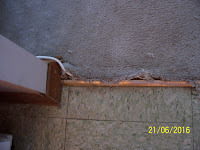 Another man who contracts to our ISP came to see me about the carpet too but he won't do anything either. May have to ask the super to fix it. Today, being Wednesday, we go bowling. Hurrah. This dish is a French classic, a combination of strong, uncommon flavors that could have been designed to go together. Combining dried and fresh mushrooms is a reliable way to transfer the exotic flavor of truly wild mushrooms to tamer domesticated ones. 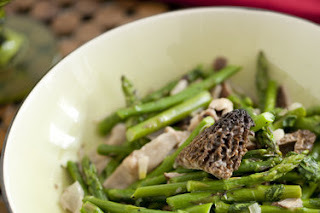 Using the soaking liquid for the morels makes it certain that none of their essence goes to waste. 1. Put morels, porcinis or both in a bowl with very hot water to cover; soak until soft, about 20 minutes. Drain morels and reserve soaking liquid. Cut morels in half; if porcinis are large, chop them roughly. 2. Melt butter in a large skillet over medium-high heat; when butter is hot and foam has subsided, add shallots and reconstituted and fresh mushrooms to pan. Cook until shallots soften and fresh mushrooms have released their liquid and it has cooked off, about 10 minutes. 3. Add asparagus and 1/2 cup reserved liquid to pan. Bring liquid to a boil, cover, reduce heat so mixture simmers, and continue cooking for another 2 to 4 minutes, or until asparagus is crisp-tender. Add cream and tarragon or chervil and continue cooking, uncovered, until sauce thickens slightly and asparagus is tender, about 4 minutes more. Season with salt and pepper and serve. 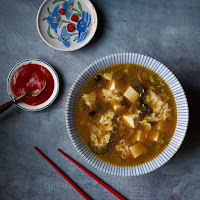 Going to my favourite Chinese buffet at the Mandarin - I am really hungry for their hot and sour soup, it is absolutely delicious. I enjoy most other things there too of course. Matt is very restrained and only eats one plate of food and some dessert. I am not nearly as good. Nor are our friends. They have just come back from the Dominican Republic so we will find out how their trip went. They, on the other hand, will get to hear about granddaughter Bethany. After lunch we plan to go to the asparagus farm, I froze so much, I am almost out. 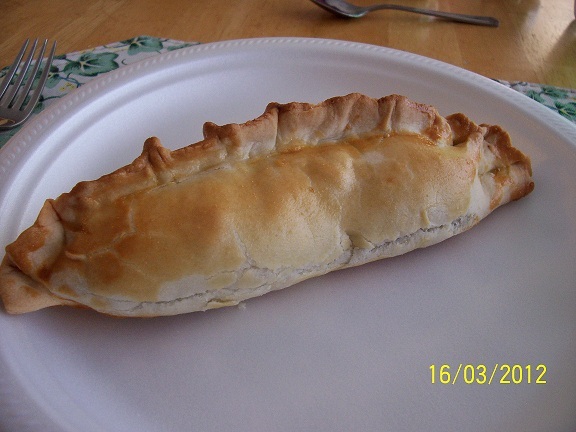 Also to the Rising Dough Bakery to get some Cornish Pasties. This time I have placed an order so I know they will be available. I have ordered some of their raisin scones. Delicious. I have been going there for a while and always understood they didn't take credit cards. On the phone, I discovered they do and have done so for 3 years. Always had to ensure I had cash before. Didn't know they had changed. Went to exercise class and had our penultimate session on Stand Up to Falls. Also said goodbye to our trainer as she is moving on to something else. We met our new trainer today too. Seems a very nice young lady. Whilst I was at class, our Superintendent's wife and our Building Manager, called and handed Matt the list of stuff we have to do to prepare for the pest control people. The Manager was, I think, the guy who wrote me that condescending email from the other day. Today, he was totally unpleasant and condescending to Matt and when I came home, Matt was fuming. I don't know who they think they are these people, we are basically the ones paying their salaries. Without us tenants they wouldn't have jobs. 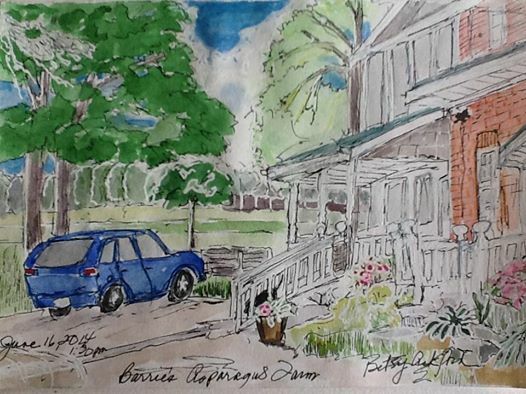 I ended up writing to the owner of the Realtor who, unfortunately is semi retired I believe, but as I said to her, no-one else will listen to me. I was really teed off and nearly went downstairs to blast him, I knew he was still in the building. I didn't in the end. Probably just as well. I think I am going to have to hire a company to come in an help us prepare. It really is too much for us. Can't really afford to do this but if we don't, we will get the back lash from the Manager for not doing everything required. I am somewhat fed up with the whole business. We have already made a start. Took all our winter clothes and ran them through the dryers. We then packed them in suitcases and put them in our store room. Of course, just doing that cost $8. This whole business has been costing us a fortune. Anyway, enough of that. of the States, we have been hearing some horrific temperatures. I have hardly been outside although Matt had to go for his rescheduled stress test this afternoon. He said it was pretty hot out there. The building is not air conditioned so if you go into the corridors you kind of melt. Luckily we have air. One friend was saying she doesn't use her a/c because it is too drafty. But complains of the heat as well. I would go with the drafts if that was the case. Ours has been running almost non stop for a while. I have been hearing from some bloggers about it being too hot to even go into their pools. Now that is hot - I went in a hot tub a few times down in NC and actually found it pretty refreshing even on a very hot day. If you like curry, this is a good recipe. Grapefruit. Meat Cuts, Super Volcanoes. I just ate a grapefruit, the first time in many a long year. I have no idea how long, but I have been on statins since 2004 I think, and one is not supposed to mix the two. I peeled and ate it like an orange. I enjoyed it, but it was difficult segmenting it. No, I don't need sugar, I like them just as they are. Not sure where this fruit came from, but it wasn't a patch on South African grapefruit which we used to get in Europe. I don't remember red fruit either but that may be my faulty memory. Except when I was a child, I don't eat sweetener of any kind on my grapefruit. I much prefer the tart taste of the fruit. Matt doesn't like them at all apparently, I didn't know that, but he is still on statins so can't eat them anyway. cheesecake which he enjoyed too. I actually cut the pieces of cake down even more than Matt had. I ate a 16th of the cake. Quite enough calories as it is LOL. I also did a flank steak again. This one was more tender than the last. It really is a tasty piece of beef and so long as you marinate it, it isn't too tough to eat so long as you slice it diagonally across the grain. 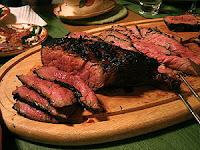 There are dozens of marinade recipes on the internet although I have been using one we always use for a London Broil. For any Canadian readers, a London Broil here is not the same thing. Not sure what cut of meat it is, but the US version is a large piece of meat probably taken from the inside round or top round. The cut is totally unknown in London, by the way. However, according to Wikikpedia: The flank steak is a beef steak cut from the abdominal muscles or buttocks of the cow. The cut is common in Colombia, where it is known as sobrebarriga, literally meaning "over the belly".The flank also is a much thinner piece of meat. It too has to marinate all day and then to be sliced diagonally across the grain. be like a nuclear winter with us unable to see the sun or grow food. Which would destroy life as we know it. The view across the Gulf of Pozzuoli is delightful but much of the Camp Flegrei super volcano lies beneath it. Volcanologists consider it will be the next super volcano to erupt. There are experts who believe the Yellowstone super volcano will go first. What a frightening prospect for mankind. I have always said people were nuts to live near volcanoes but super volcanoes are a whole different story. 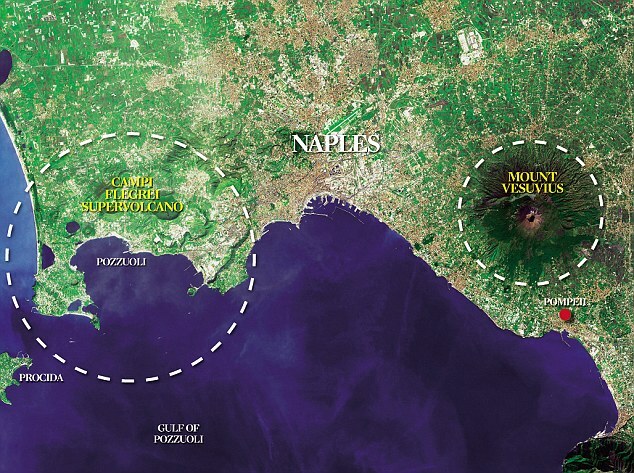 These super volcanoes explode every 8,000 years or so. I think I will move to Mars. With such things on our horizons, why do we worry about political elections and who is going to lead countries? Our petty little concerns will mean nothing in the long run. A friend sent me a link to Yellowstone super volcano. I kind of wish she hadn't. Came across this recipe over the weekend. Each time you have come to us with this matter, we have reacted in a timely matter. We have sent the technicians and have the invoices to prove it. 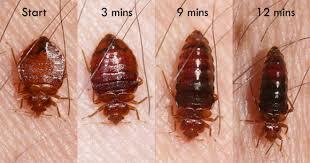 The pest control company is certain there are not any bed bugs in your unit. We will again as a result of this email send the pest control company once again. 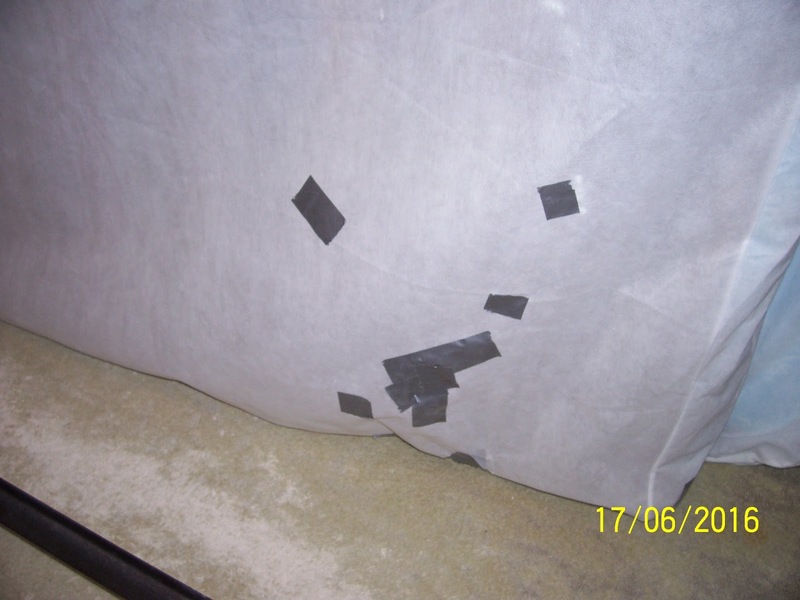 If there is no bed bugs to see, we cannot get rid of something that isn’t there. Are you certain? Do you have any of the bugs? Can you put one in a ziploc bag to show the technician? Where are they coming from? Are they in the couch? Where in the apartment are you seeing them? We cannot continue to have the company come out only to find nothing, it costs us money each time we schedule them. In the event there are bugs, then you will be given the same instructions you were initially provided and you MUST follow those instructions. We have been and continue to be diligent about the removal of these pests each time this matter was brought to our attention. Considering I have emailed them twice lately with no response I wasn't too happy. However, as it turned out, they did sent someone this afternoon and, despite all the efforts we put into the whole business this morning, the guy still found a bug. Was I pleased under the circumstances. However, this means they will be scheduling a visit which means we have to strip our home down once again. These are the pictures I took today of the bottom of the box spring. The brown is bed bug faesces which I have tried to scrub away with little success. As you see, I have attempted to patch the holes and tears. I am hoping they will replace it when they come again. I must admit I am fed up with being told it is my imagination - sorry it was only implied!! Like that makes a difference. I am blogging this because I have to vent to someone somewhere. I am not the greatest conserver of anything, but I hate to see blatant waste. Wednesday I received a brochure from our bank which looked as though it would have been pretty expensive to produce. It consisted of 5 pages all about banking on line and telling me how good it was. The only thing, I have been banking on line for years. What a waste of paper, money and time. Not so wasteful, but I received a phone call from my Cable company the other day offering me a whole range of services - I informed the caller that I already had all these services. This to me is a waste of time and probably money. Why don't they check? Well, it's Thursday again. Of course I bowled quite well. I was asking if anyone knew a hypnotist - I need one to convince me Wednesday is Thursday when I am bowling. As you may remember I am attending some seminars on Stand Up to Falls. Meanwhile all around me my friends are falling and ending up in hospital. Turns out today one friend who fell twice, has been running around for 2 weeks with a broken ankle. She was even bowling with it. OK, she didn't know it was broken, but I cannot figure out why she didn't go to the emergency dept. straight away. She said she was in agony bowling on Wednesday, I bet she was. 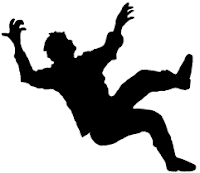 One senior every 10 minutes ends up in hospital due to falling. It is quite scary now that I know the stats especially when I know three people who have ended up in hospital in the last two or three weeks. Even if the last one was only to get a cast and come home. Be a while before she can bowl and presumably she won't be able to drive either. bitten but can't find the little suckers. Everyone at the landlord's and the pest control continue to ignore me so maybe I should do what has been suggested and go to the papers. Perhaps I should warn all concerned before I do so, what do you think? Might surprise you to know that I am fed up to the back teeth. I thought we had got rid of them but it appears that we haven't Admittedly I haven't been bitten for a few weeks now but that seems to have changed. I have been trying to figure out how they are getting to me as I thought, mistakenly obviously, that I had the bed well protected. Went to Barrie's Asparagus Farm to stock up on my asparagus and also got some strawberries which we had for supper. I have never seen strawberries which had not developed at the ends and were a hard black knot of seeds. I had to cut these out as well as hull them. Wasn't too pleased, but they tasted good in the end. I also bought myself extra asparagus with a view to freezing it. Last year I blanched the spears before freezing. Talking to the girl at the farm I told her I had read you could just freeze it without blanching and she said they always recommended that method but to make sure they are totally dry. When I got home, I shoved a couple of spears in the freezer and will see what they are like in a couple of days. 2. Toss asparagus with oil and salt in a large bowl. Spread on a baking sheet and roast, stirring once halfway through, until tender, 15 to 20 minutes. 3. Combine mayonnaise, Parmesan, water, anchovies, garlic and lemon juice in a small bowl. To serve, drizzle the asparagus with the sauce and top with hard-boiled egg (if using). Tip: To hard-boil eggs, place eggs in a single layer in a saucepan; cover with water. Bring to a simmer over medium-high heat. Reduce heat to low and cook at the barest simmer for 10 minutes. Remove from heat, pour out hot water and cover the eggs with cold water. Let stand until cool enough to handle before peeling. I always refresh the water several times and if in a hurry, add ice to the water. Tightrope Walker, Summer Dessert, Family News.